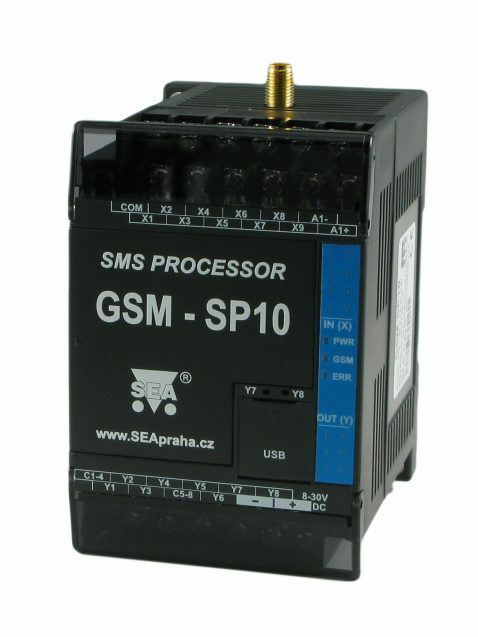 GSM-SP10 is industrial SMS processor for remote controling and monitoring using GSM network. 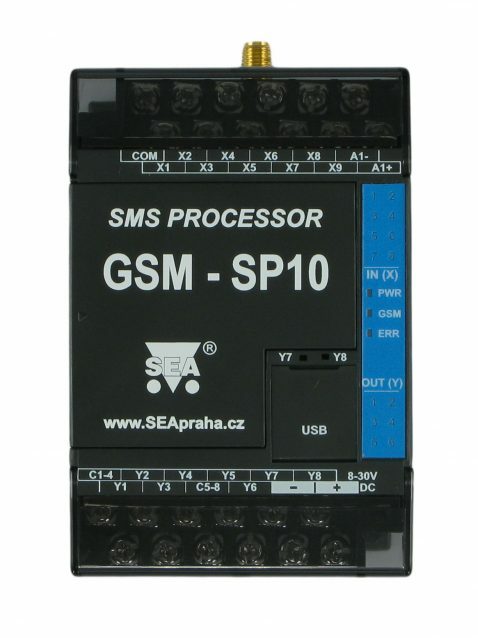 GSM-SP10 (resp. 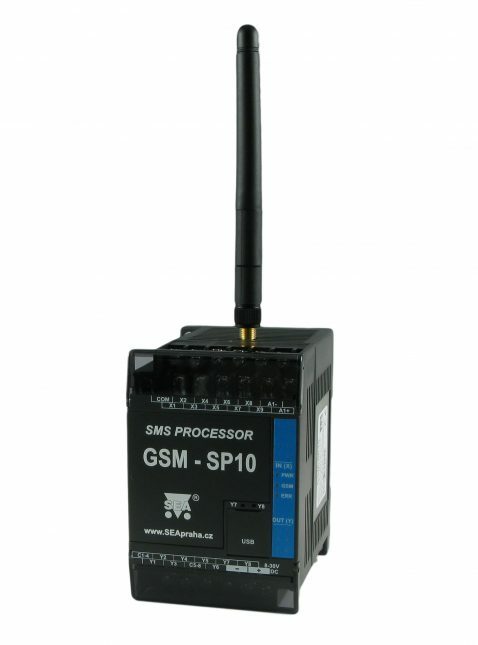 GSM-SP10B) is a powerful remote control and monitoring device. 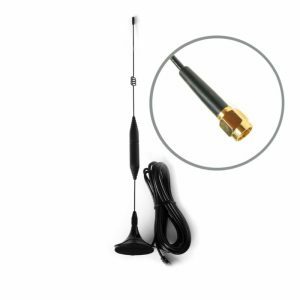 It enables to monitor digital and analog inputs status and to control outputs via GSM network. 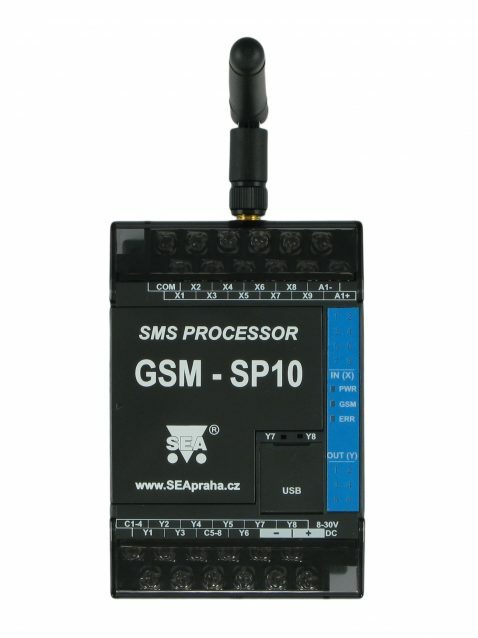 SP10 can use SMS messages, GPRS connection. 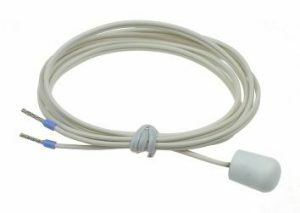 The behavior of a device and names of inputs and outputs are in SMS version fully selectable via USB cable or remotely (GPRS) using supplied configuration software. 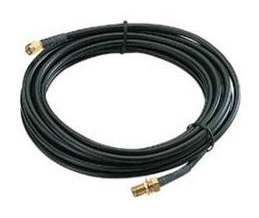 The defined emergency conditions may result in sending a SMS message to the list of telephone numbers (boiler failure, gas leakage, rapid drop or rise of temperature or level) including information about the failure and restoration of power supply. *1) The licence for SD card and logging software can be bought additionally. *2) It’s possible to rebuild the box for a certain fee. 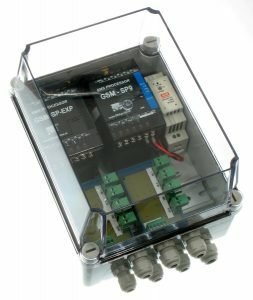 Simple installation – The device is delivered with a frame for mounting onto DIN rail. 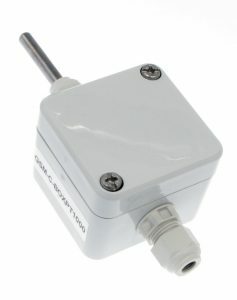 Easy monitoring – just send a SMS message “1234 STATE“ to receive a message about the state of the device inputs and outputs. 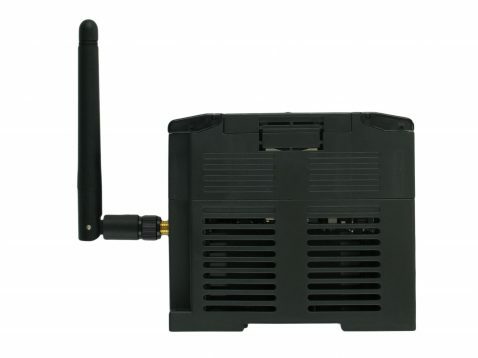 Configuration and Monitoring SW – user friendly PC SW works either locally via USB port or remotely using GPRS. 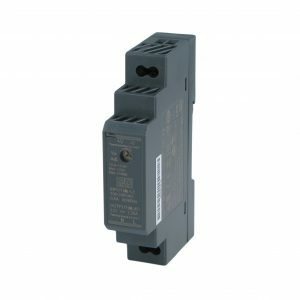 Backup power – backup Li-ION battery enables alert on 230 VAC failure. Boiler houses, heating plants and heat pumps. 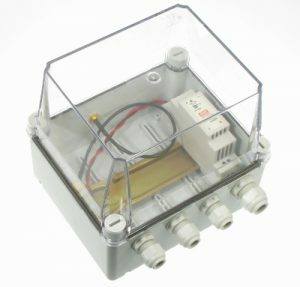 Industrial objects – water plants, water reservoirs, small hydroelectric stations, boiler plants. 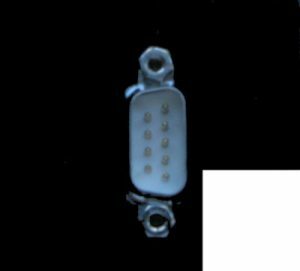 Technology processes – fault report, gas leakage, drop or rise of temperature or level, freezing point monitoring. 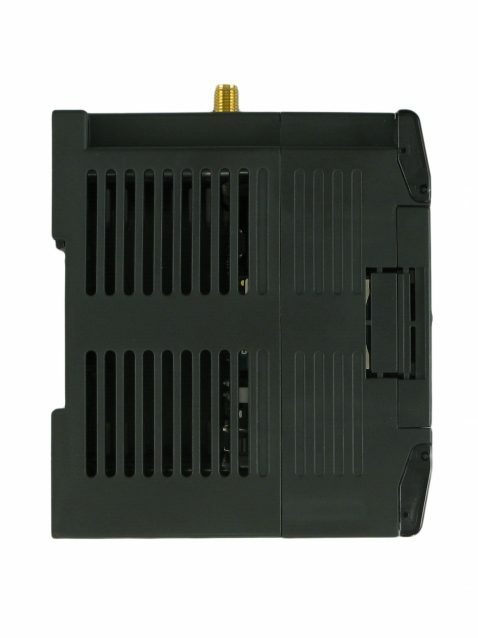 For configuration of GSM-SP10 is used sw SeaConfigurator (full version can be downloaded for free in the section support). 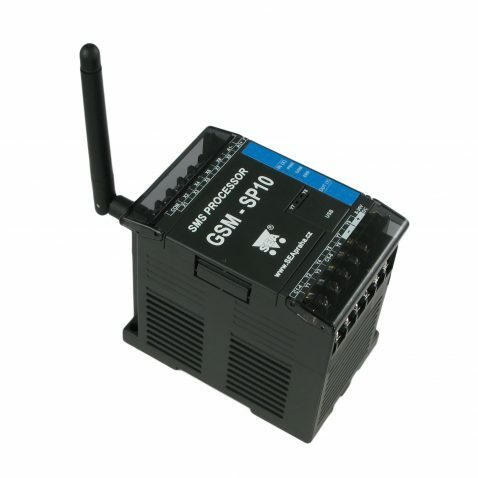 If you need more inputs, it is possible to connect expansion module GSM-SP-EXP to SP10. 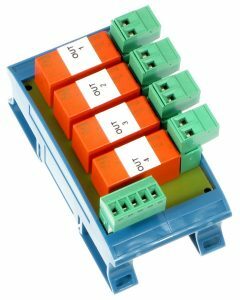 This expansion module has 9 digital inputs and 7 analog inputs. 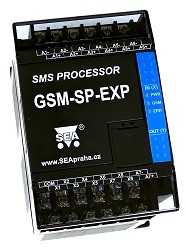 GSM-SP-EXP is connected to GSM-SP10 via the flat strip cable, from which is the unit powered. 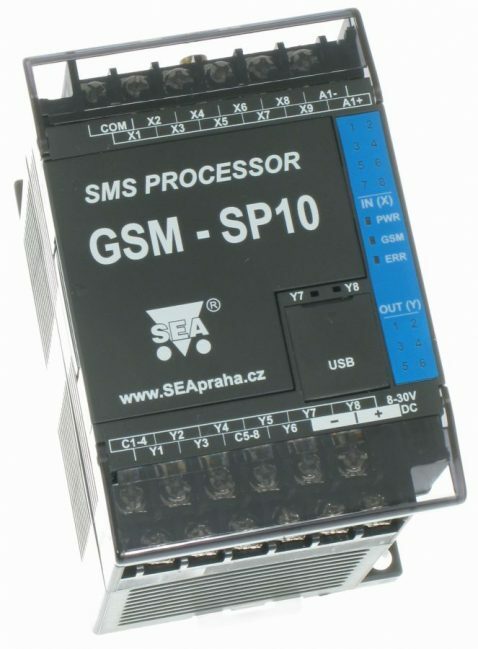 The SP10 is possible to connect the communications board. 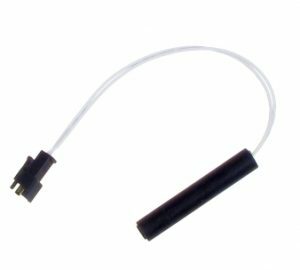 This is an expansion board serial port for SP10. 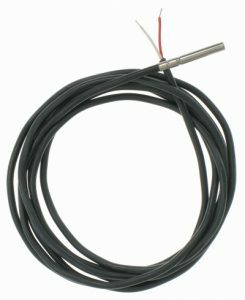 Used for connecting to control systems (PLC, PC) that can create so-called. Numbered events. 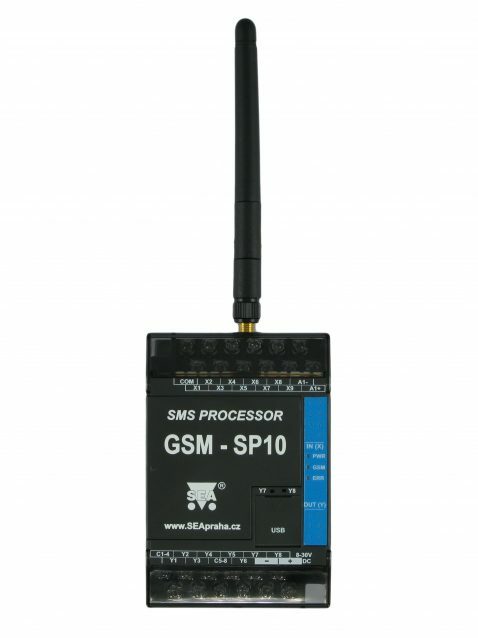 GSM-SP10 can be both MASTER and SLAVE. 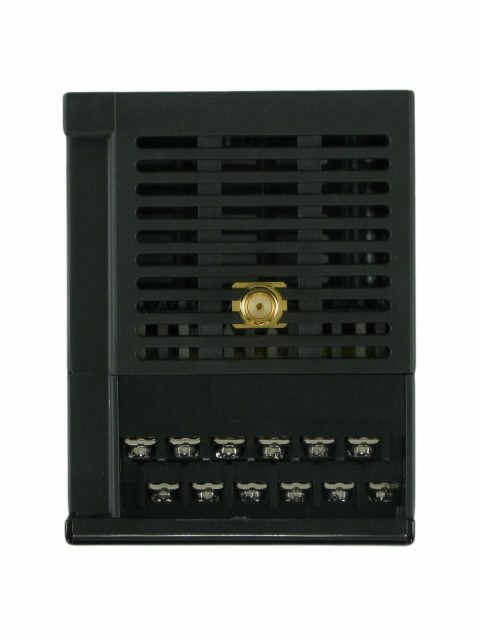 Serial port expansion board plugs into the 8-pin dual row connector located under the front bezel. 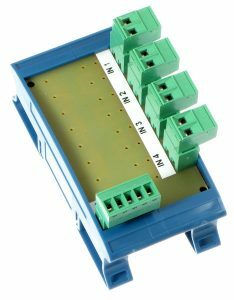 Choose between two variations of GSM-SP-CB2 is a RS232 serial port and GSM-SP-CB5 the RS485 serial port with switchable terminator. The communication method and choice of registers is set using SeaConfigurator on the General tab. *) See the manual for technical details. **) It’s possible to exchange the box for a certain fee.